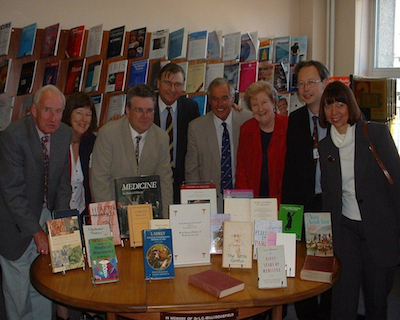 Presentation of books to the Library at St Richard’s Hospital, Chichester in 2007. The books are available to be seen in the library at CMEC and if there are any History of Medicine books that you need to give to a good home to they would be appreciated in this library! However tge Dunhill Libruary has significant number of books on different aspects of the history of medicine. These are listed below. Members of WSHOMS have access to these books and by identifying yourself and a readers ticket can be issued to give you access to the library during opening hours which are usually 9am to 5pm on weekdays. A list of the history of medicine books. A history of pathology in 50 objects? These books are kept in the library office due to their delicate condition.